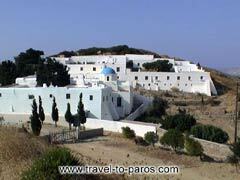 The 18th century Convent of Christ in the Woods (Moni Christou tou Dasous) is located at a distance of about 7 km South of Parikia. Against the usual in Orthodox Greece only women are allowed into the sanctuary. 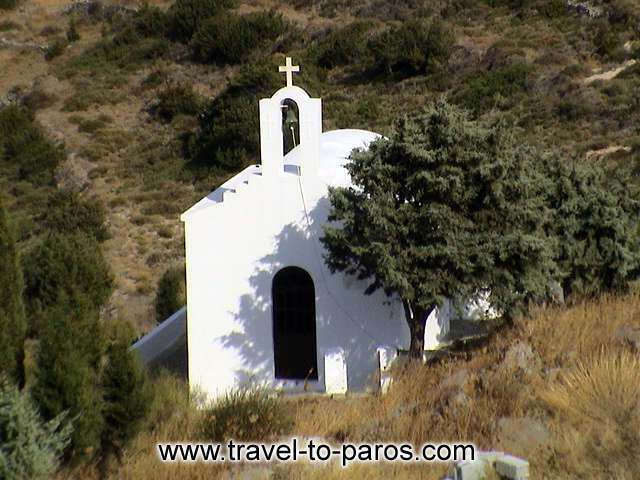 Agios Arsenios, the second patron saint of the island; teacher and abbot, is also buried here.